One of the biggest changes is that the new Donor Center allows donors to give much-needed platelets in addition to whole blood. Bonnie, a retired professor of Anthropology at Indiana University, has been donating for 15 years. She’s up to 4 gallons of whole blood with PSBC (she also donated when she lived in North Carolina) and donated platelets for the first time on opening day. I think [donating platelets] is great – I like the idea that it can go directly to the hospital and used right away without going through as much processing. Platelets are the component of blood that helps it clot, and are used to treat cancer patients, those receiving organ or bone marrow transplants, trauma victims, and patients undergoing open heart surgery. While there is definitely some processing involved in platelets (for example, we test all blood products for 13 different diseases, including HIV and hepatitis), platelets do not need to be separated into different components in the same way as a unit of whole blood. It takes 6 units of whole blood to generate the same amount of platelets as one platelet donation. Bob Hungerschafer used to drive down to our Everett Donor Center every other Saturday to donate platelets right when it opened at 8 a.m. Bob has made around around 730 donations (he’s previously the world record holder), so this represents a bi-weekly two-hour commute that he no-longer needs to make. Bring lunch! Give it a try. It’s relaxing, it’s enjoyable. Platelets are a little different – it takes a little longer, but you’re treated like royalty when you’re doing it. Bottom line: it helps people. It’s easy to do, it doesn’t take much time, and a lot of people benefit. They’re very good here. One of the reasons I come here is that it’s difficult to get it done elsewhere, and they’re experts here. They never fail. Donating blood has personal meaning to Jerrold. My mother, in 1952, had a cerebral hemorrhage and it took 9 pints of blood to save her life. We lived in West Seattle at the time, and they would not let me donate blood until I was 16. So I started on my 16th birthday, May 12, 1956. Previously, I hadn’t had a particular day that I donate, and I ended up in December on Tuesday and the center has a special volunteer who donates treats and I decided to make it my regular day. My wife went in the last time with me and got her to give up one of recipes so that we could make it for the holidays! Helen displays her beautiful fruit pizza! Every Tuesday I bake something. I always bake a cake or cookies, or cobbler. For the opening, she made a fruit pizza, black forest cake, and a coconut cream cake. Come visit us in Bellingham at Bakerview Square (410 W Bakerview Rd, Suite 117)! Schedule your appointment today. Our Centers will be operating with special schedules this week and next to make it as easy as possible for you to donate while also allowing our staff to spend time with their families during the holidays. Monday, December 23: Additional Centers open (all 8 a.m. – 4 p.m.): Bellingham, Everett, and Silverdale. All other Centers open normal hours. Tuesday, December 24: All Centers except Vancouver open 8 a.m. – 4 p.m.
Wednesday, December 25: All Centers CLOSED. Friday, December 27: Additional Center open: Federal Way, 8 a.m. – 4 p.m. All other Centers open normal hours. Tuesday, December 31: All Centers except Vancouver open 8 a.m. – 4 p.m.
Wednesday, January 1: All Centers CLOSED. You can schedule your appointment at schedule.psbc.org or by calling (800) 398-7888. Dr. AuBuchon became the AABB President in October, 2010. In October, the Blood Center’s President and CEO, Dr. James P. AuBuchon, became President of AABB, an international, not-for-profit association representing individuals and institutions involved in the field of transfusion medicine and cellular therapies. AABB membership consists of almost 2,000 institutions and 8,000 individuals including physicians, nurses, scientists, researchers, administrators, medical technologists and other health care providers. Members are located in more than 80 countries. Dr. AuBuchon has been an active member of AABB since 1981 where he chaired and sat on numerous committees. As President, he will work with the international Board of Directors to ensure resources are aligned to deliver on the organization’s strategic goals and that every voice is heard. 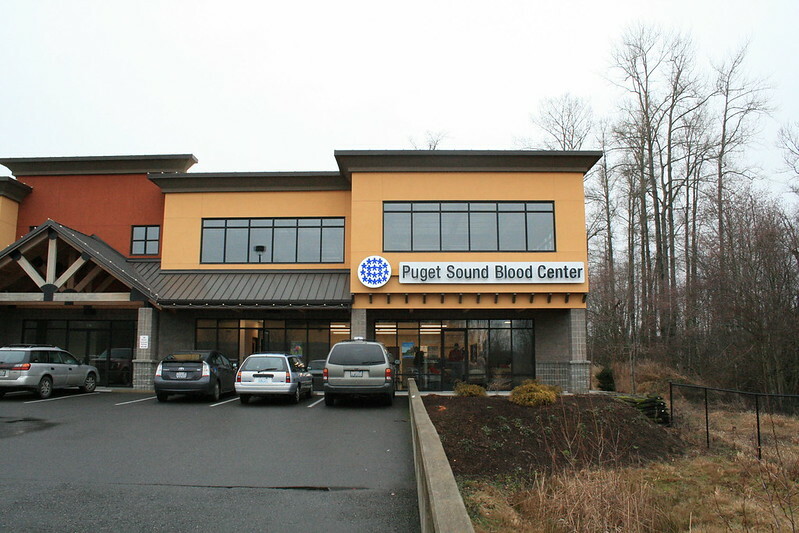 Puget Sound Blood Center congratulates him on this distinguished accomplishment.